Autumn is my favorite season, hands down. So I am just a tad (okay, much more than a tad) excited that it is around the corner. Take a peek at these cute cheap and easy DIY Fall crafts and decor ideas and get inspired to decorate your home for fall. And don't forget to check out your local Dollar Tree. 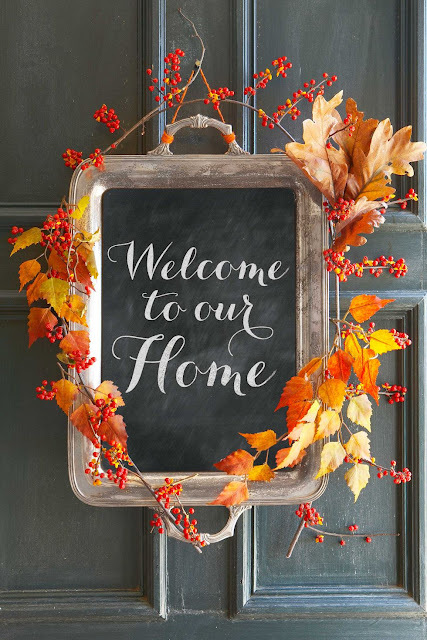 It is like a treasure trove when it comes to finding fun things to decorate your home this fall from the living room to the front porch. 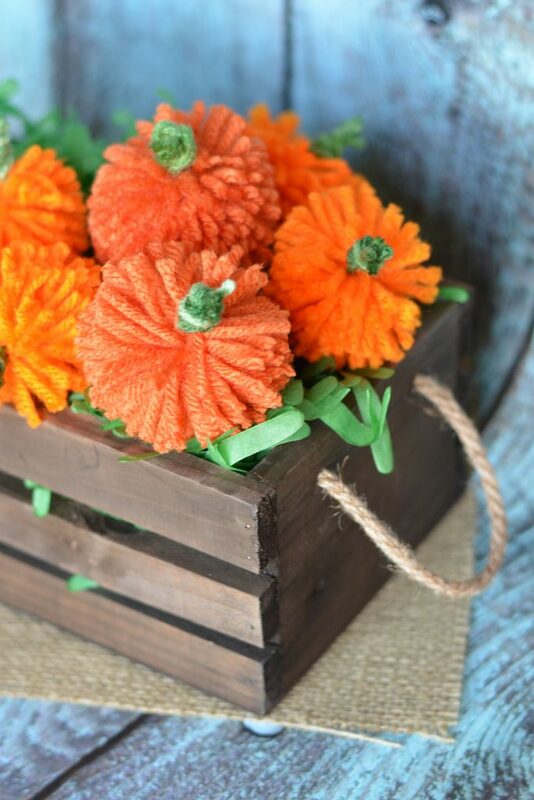 You can string these adorable DIY yarn pumpkins to make a festive garland, or use them to make a wonderful Fall table centerpiece! 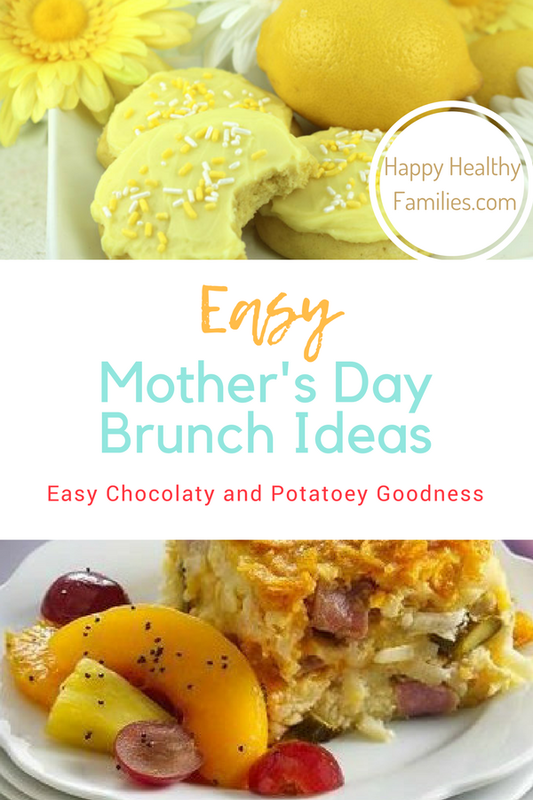 Get the tutorial at Not Quite Susie. 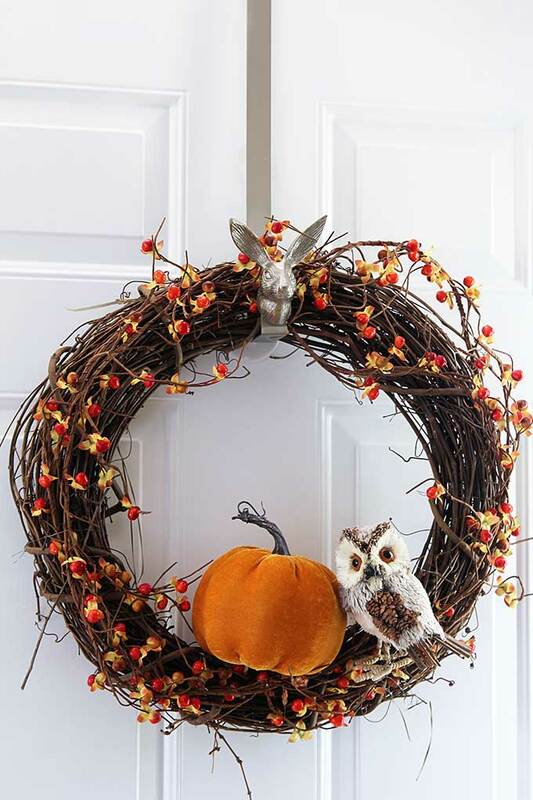 Get an early start on your front door Fall wreath with this year. Learn how to make this easy homemade wreath in just 10 minutes! Get the step by step tutorial at House of Hawthornes. Have your home (or at least your bathrooms!) smelling like Fall in 10 minutes or less with these amazing DIY Pumpkin Spice Soaps. 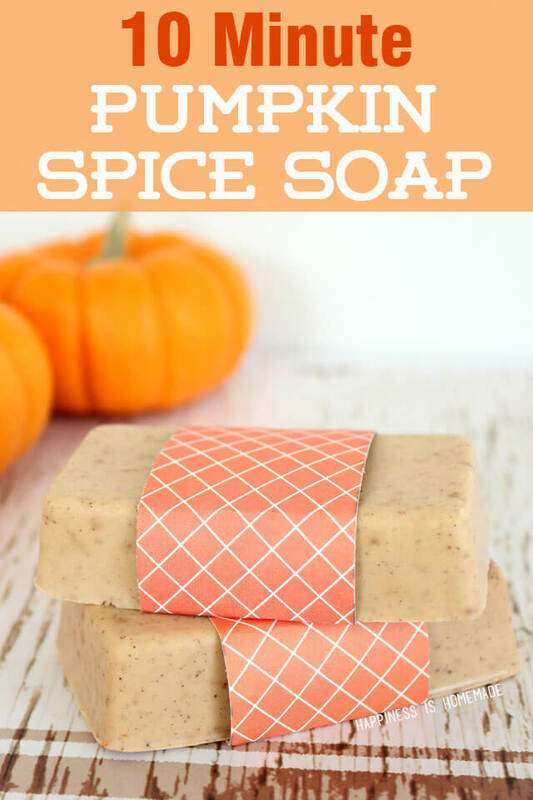 Get the tutorial for this easy homemade soap recipe at Happiness is Homemade. 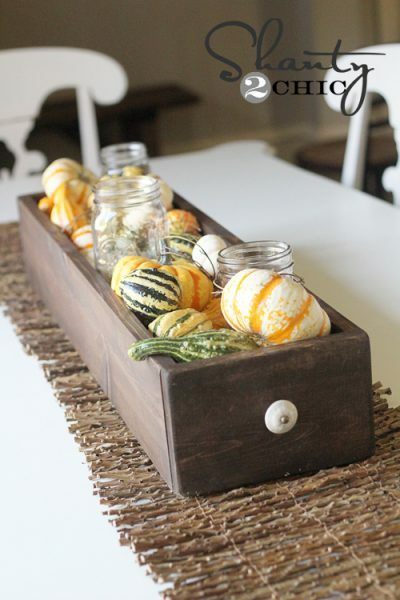 It is never too soon to start thinking about centerpiece ideas for the table this Fall. 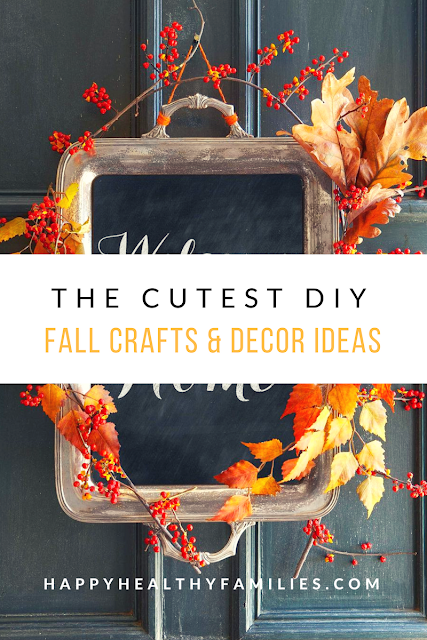 This really cute centerpiece from Shanty 2 Chic should help you get inspired to create your own DIY masterpiece. 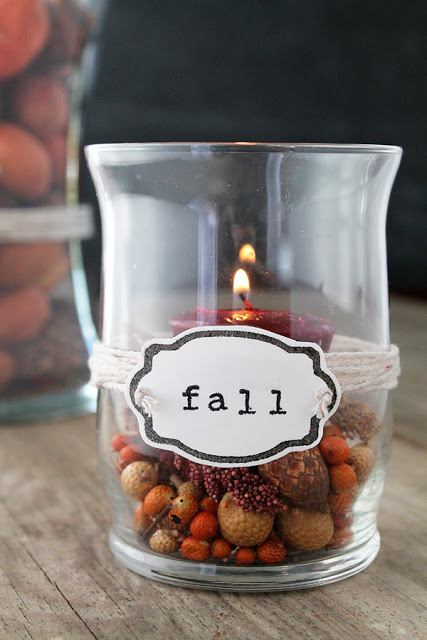 You can get all kinds of inspired just looking at this beautiful DIY Fall Vase made by Liz over at Love Grows Wild. And her label is awesome! 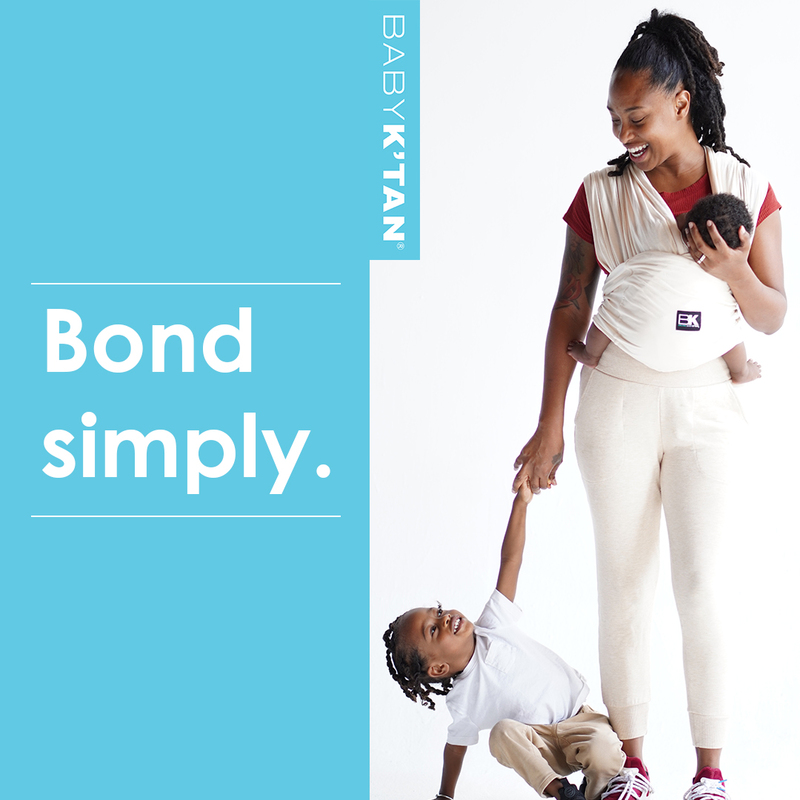 Check out her step by step tutorial here. 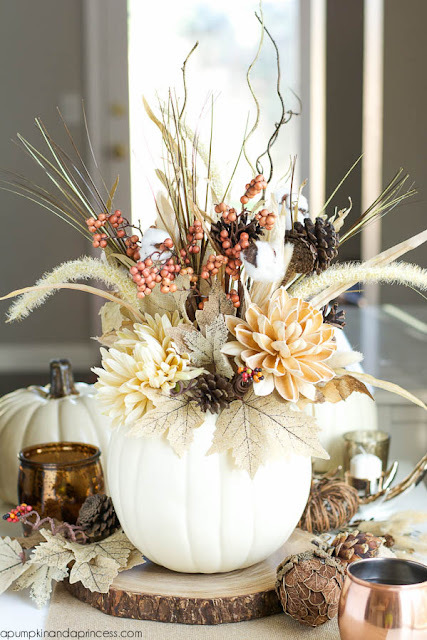 This elegant Faux White Pumpkin centerpiece is actually a very easy DIY Fall table decoration! You can get the details on how to make your own over at A Pumpkin and A Princess! 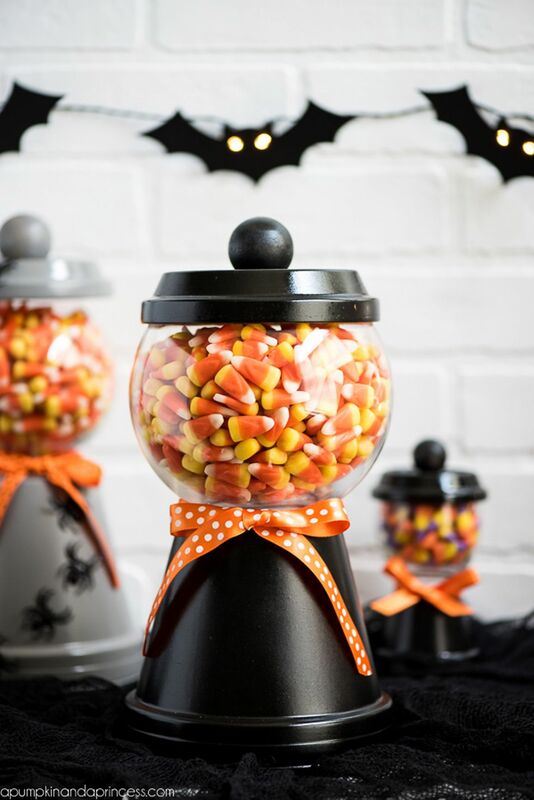 I fell in love this homemade gumball candy jar the minute I laid eyes on it!! For this DIY project, you will need clay pots (get 5 for $10 at Amazon), black paint, saucer, and a wooden knob.